Width: Our shoes are made in average width only. Please do not place any order if you are a narrow or wide width. 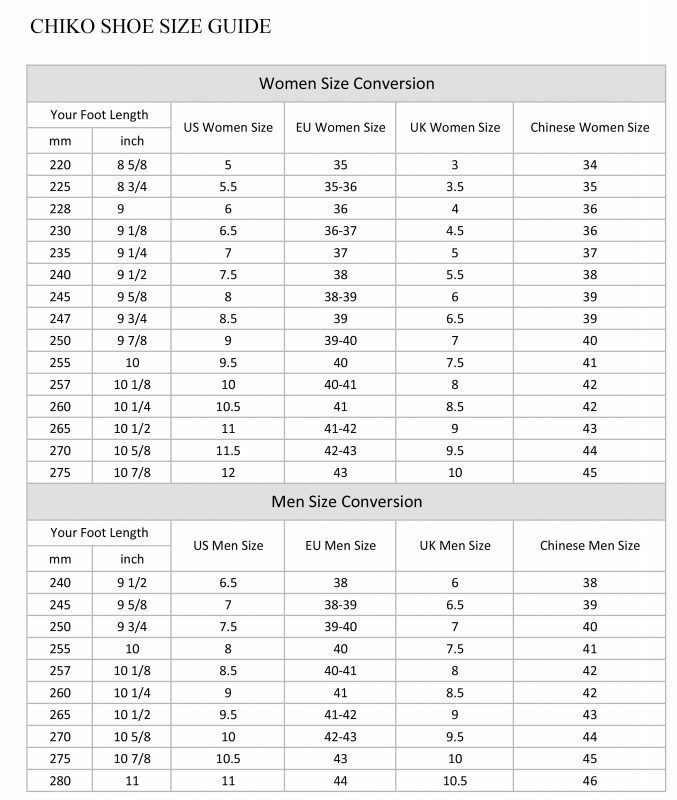 Our shoes are true to our size chart as below. As size chart varies from brand to brand, if you are the first time shopper at our online store, before place an order, we strongly suggest you to measure your foot length as below, and compare it to our size chart in order to locate your shoe size accurately. You can also contact us for help to locate right size. As the size measurements vary from brands to brands, please DO NOT take the size chart of other brands or from other website for your reference when you shopping at our website, which may mislead you to order the wrong size. 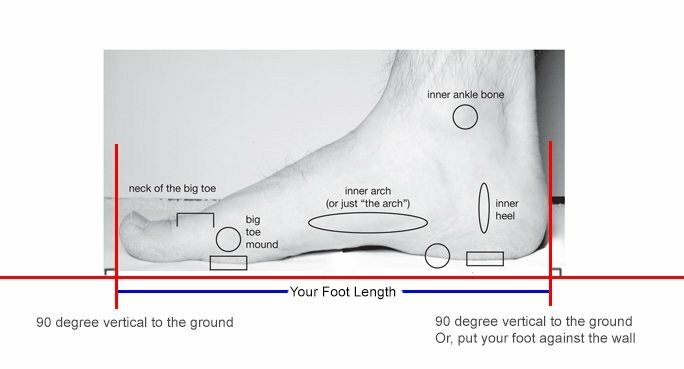 How to measure your shoe size?